Although the Montessori method has been applied as causes of its frequency, it is possible to find at least 8 fundamental principles of this pedagogical style at the base of the work of the Montessori and later popular developments. The educational philosophy of Montessori has a markedly constructivist character. It is understood that people, in general, learn better through direct contact, practice and discovery than through direct instruction. However, the determined subjects, especially from 6 years old, require specific master classes. Preparation of the educational environment. In the Montessori method, a “prepared environment” is used; This means that it has been adapted to the needs of the students according to their age. In addition, we must take into account the movement and the realization of activities, be clean and orderly, be aesthetically attractive and have natural elements such as plants inside and outside the classroom. 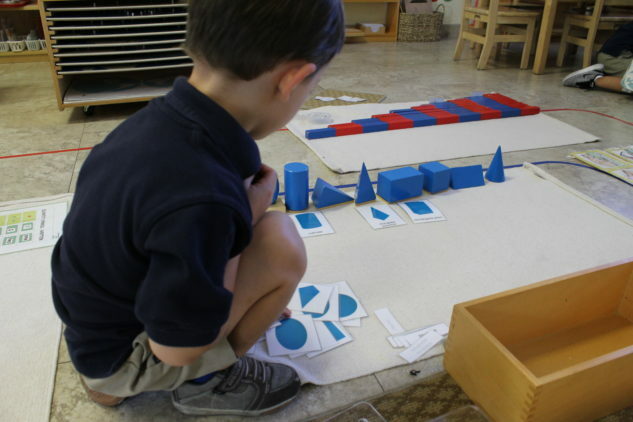 One of the most important components of the Montessori environment is the inclusion of materials made by Montessori herself and her collaborators. It is preferable to use natural materials, such as wood, instead of artificial materials. Although the prepared environment entails limitations in the range of activities that students can access, it is still greater than that of traditional education and during most of the class time is given freedom to choose any material, game or educational content among those available in the classroom. Montessori spoke of “self-education” to refer to the active participation of students in their own learning. In this sense, the role of teachers is related more to preparation, supervision, and help, as we will see later. A very important aspect of the Montessori method is the fact that it is recommended that the classrooms contain a high number of students and that they have different ages, although they are divided by age groups because of the specificities of the development in each period. Generally, the separation is carried out in groups of 3 years (for example from 6 to 9). This is because Montessori argued that there are sensitive periods in which children have a greater facility to acquire some or other types of skills and knowledge. Thus, in early childhood, it is important to develop language or the senses, while abstract thinking is encouraged especially after age 6. Since students are free to choose how they are educated, they will often decide to collaborate with their classmates. This allows peer tutoring, is especially relevant in relation to the game (which plays important roles in sociocultural development) and must be promoted by the faculty. Another of the most characteristic features of the Montessori method is the presence of classes of 3 hours uninterrupted. Since they are based mainly on self-direction on the part of students, they should be much less bored than in traditional teaching; what is sought is to favor the achievement of a state of concentration that enhances learning. In the Montessori method, the teacher guides the learning of the students avoiding hindering their process of self-education. Thus, their roles are related to the preparation of the academic environment, the observation of children to promote individualized learning, the introduction of new educational materials or the provision of information.